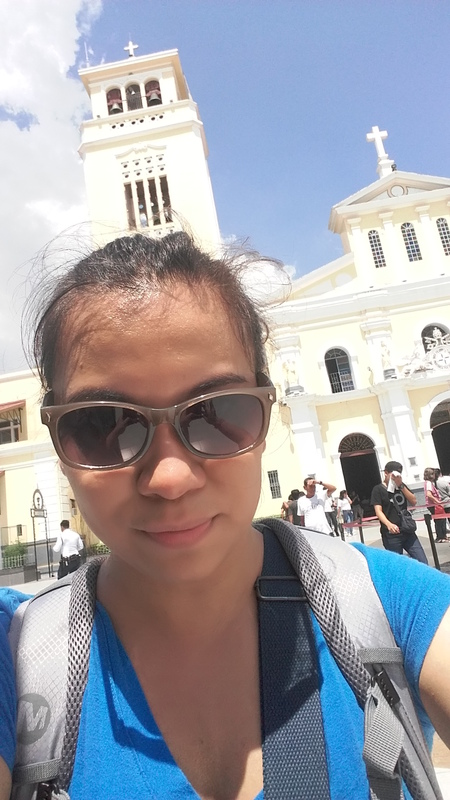 *my heartfelt experience on visiting the Manaoag church. We arrived in the famous church during the mid of the day with the extreme heat of the sun causing us to feel uncomfortable. As we walked to the path going inside the church where a Eucharist is being celebrated, just before I took my first step in the doors of the church, the first few words I heard from the priest’s homily was that phrase. That’s a message right there. It could be for me but it could also be a message for the other hundred devotees visiting the church. I may not know what that meant in my life right now or it could be that, that is the question my soul have been asking me all along. What I feel was that someone up there was expecting my visit. He has everything prepared for me as I was unexpectedly blessed by the holy water not only once but on three occasions. Although I am not really the religious type, it is not really my body communing with Him during that whole experience, but my soul. This is one of the mysteries of the universe that the body do not need to understand. Meantime, I asked my friend to buy me 3 white candles since she is already in the line. I have not told her the reason behind the 3 white candles until she already bought different shapes of candle. I told her later on that I want to offer it to my husband, my father and my uncle, who died recently. I did not realize until she told me that the shapes she chose is just right for me. She gave me a heart and 2 leaf-shaped candles. The heart is for my dear husband and the 2 leafs are for my father and uncle which means that the heart-shaped candle is for the love of my life and the 2 leaf-shaped candles are for my blood family. I longed to relieve my body with all the stress brought by the busy metro but later did I know that it was my soul that was screaming for balance. I will definitely go back to Manaoag church. I don’t know what is, but there is something in that place that connects my soul that even my friend shared the same feeling.